"So what are you making for dinner? ": Pizza For Dinner. Pizza For Breakfast. Pizza For Dinner. Pizza For Breakfast. The Chicken Cutlet was from Wednesday night, sorry there were no photos. It was my go-to recipe. We had a couple of pieces of chicken left over. That was the beginning of this dinner. I mixed the pizza dough, the Jim Lahey recipe before I left for work Thursday morning. I stopped by Bishops on the way home tonight to pick up the salad ingredients. The lettuce, and Mozzarella, Ricotta, and tomatoes. 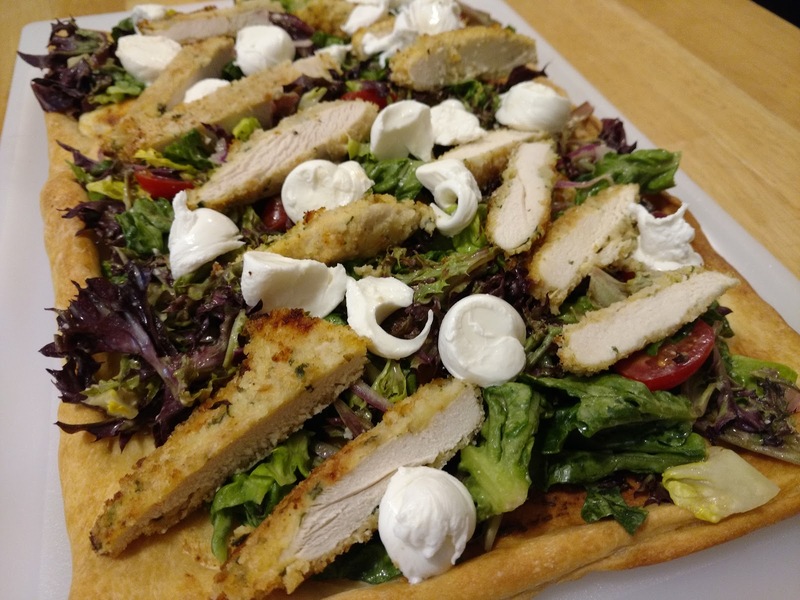 The recipe for the Chopped Italian Salad Pizza was from PureWow. Yeah, this was really good. The pizza crust came out perfectly crisp. 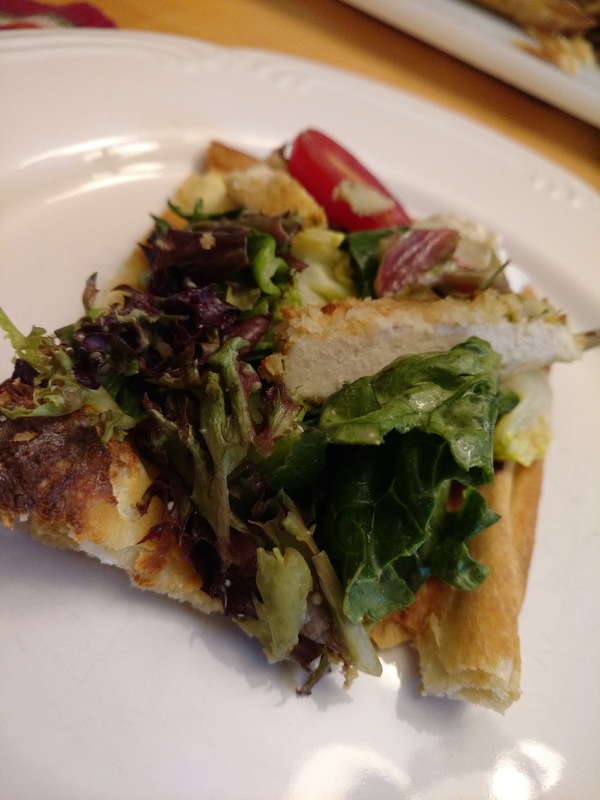 The layer of ricotta on the crust was what brought the whole dish to an over the top level. I usually use Calabria brand ricotta. Tonight at Bishop's I picked up Luzzi's brand. Luzzi's is local. The taste of it was over the top good. Wow! It tasted like homemade. The whole idea of a salad on a pizza was different. Do you eat it like a slice of pie or with a fork and knife? We opted for both ways. Then there was breakfast. Who does not like leftover pizza for breakfast? 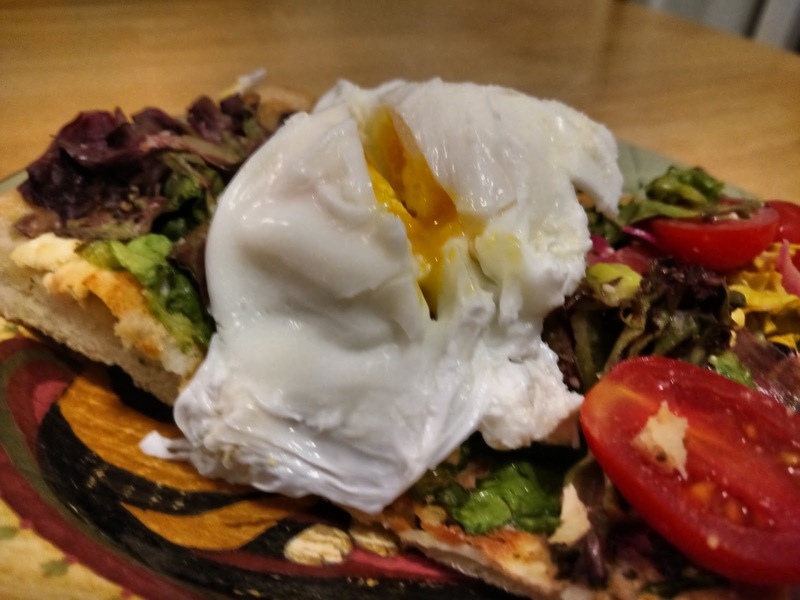 Well, put a poached egg on top of this leftover! Wow! Happy Saturday!